The bariatric plus-size knee brace from BraceAbility provides stability to the knee for pain relief and protection from further knee injury. 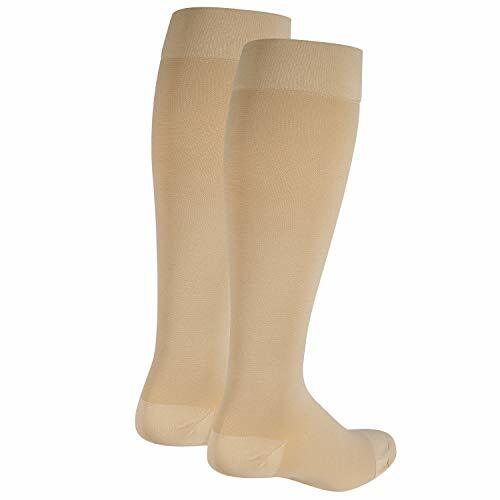 It features easy application and a comfortable fit for people with larger legs and thighs. This hinged extra large knee brace comes in a variety of sizes, including XL, XXL, XXXL and even 4XL, 5XL, and 6XL plus size knee braces. This bariatric knee brace for large people is made of comfortable neoprene with nylon on either side of the support, making this an ideal compression knee treatment for arthritis. It features dual axis polycentric hinges that provide support both to the medial (inner) side of the knee and the lateral (outer) side. These hinges can also be removed for a sleeker, less bulky fit, making this a great plus size knee wrap. 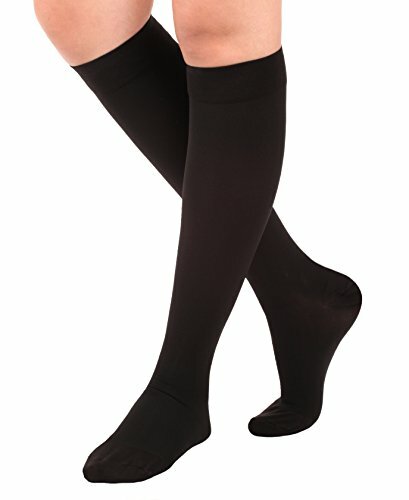 This plus-size knee support is easy to apply and adjust. 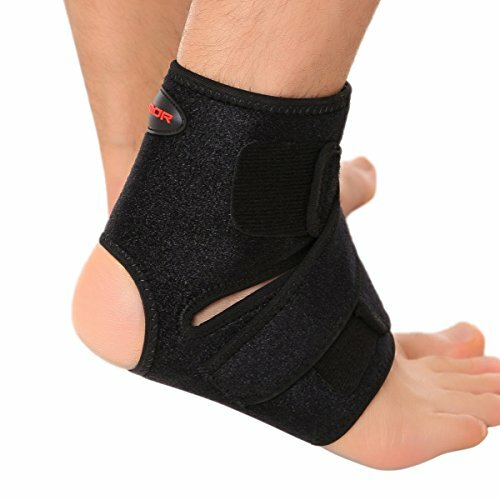 It has a wrap-around design with strap tabs that are secured with Velcro, making it easy to put on and adjust the amount of compression it applies. 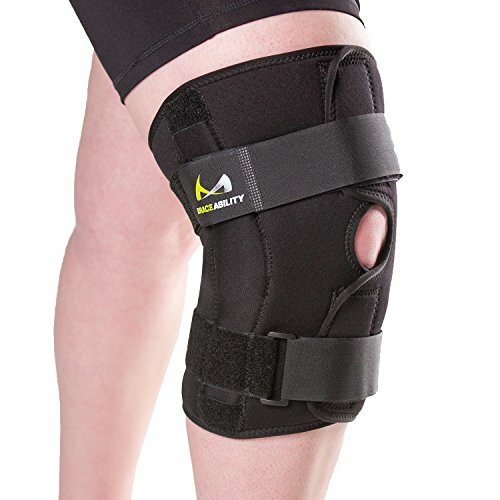 The knee brace’s closure is in the front (anterior) area of the support for easy access and patient comfort. This large neoprene knee brace also provides even compression and warmth across the area it covers, in the interest of reducing inflammation and promoting blood flow. 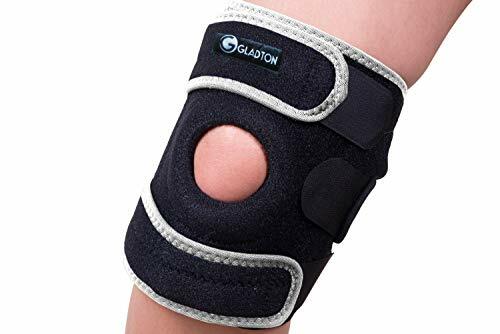 This knee brace can help treat and ease discomfort associated with knee arthritis, knee ligament sprains and strain, general knee instability, and can speed along the healing process for a number of knee injuries so you heal faster. 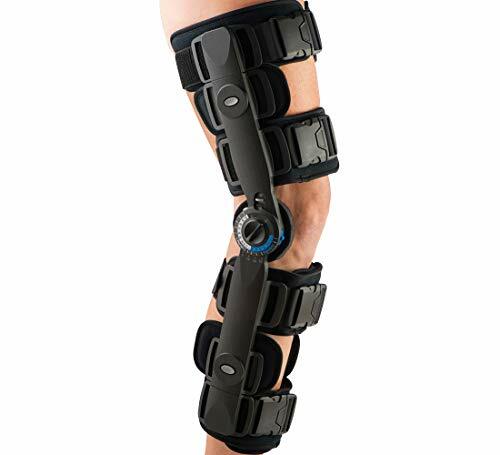 The neoprene and nylon material of this bariatric knee brace is comfortable, flexible and soft, making this extra-large knee brace easy to wear. This bariatric support is available in the following knee brace sizes: XL, XXL, XXXL, 4XL, 5XL, and 6XL. See the sizing chart image above for information on how to measure for the correct fit. PLEASE MEASURE CAREFULLY – All braces are sized differently so it is important that you follow the instructions above in the 2nd image to get the right fit. FRONT VELCRO CLOSURE is ideal for independent patients. Great for recovery from damaged or weak ligaments, tendons, joints and muscles, arthritis, osteoarthritis, torn meniscus, hyperextension, ACL, MCL or LCL ligament injuries, sprains and strains, instability, patellar tracking disorder, tendonitis and after surgery. DUAL AXIS POLYCENTRIC HINGES provide enhanced stability to the medial (inner) and lateral (outer) sides of your knee, which is especially useful for those that suffer from carrying around extra weight. Remove the hinges to create a low-profile knee support that is comfortable and discreet enough to wear all day. 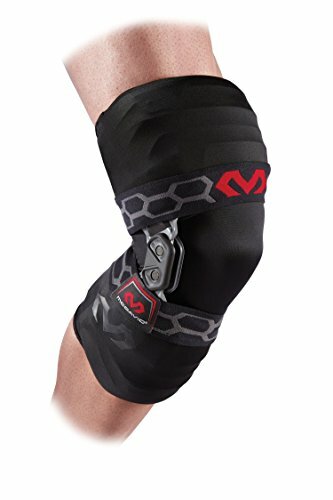 LIGHTWEIGHT, OPEN-PATELLA DESIGN reduces pressure on your sore kneecap, making this plus size brace more breathable and flexible than a solid knee sleeve. A circular cutout behind your knee (popliteal) helps prevent the brace from bunching when walking or bending. ADJUSTABLE COMPRESSION wrap is made 1/8″ thick, premium-grade neoprene, which promotes heat retention and flexibility, allowing for full range of motion. 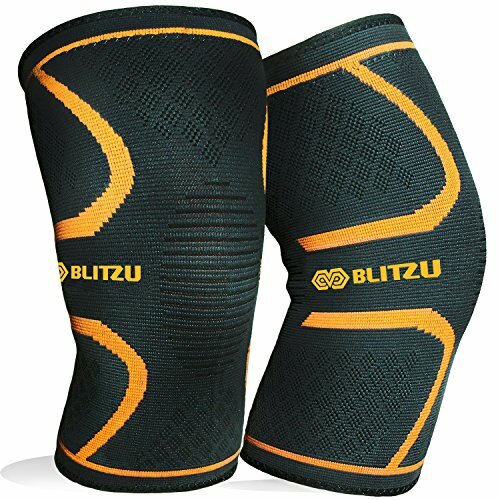 Perfect for exercise, sitting, standing, working and running or sports such as volleyball, soccer, basketball, etc.